Sore throats can be a real nuisance and apart from being uncomfortable, they can interfere with how well you perform in your job, affect your sickness record, disrupt relationships and affect your social skills. 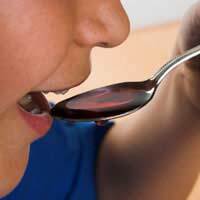 Many people tend to try different medicines when they have sore throat or even use nothing at all and just ride it out until it has healed but there may be other ways of treating the problem and helping it resolve more quickly. Most sore throats are caused by viral infections which are less problematic than bacterial infections as the body can fight the infection more rapidly and the symptoms probably won’t get any worse. The need for a prescription is not beneficial for a viral infection which can normally be treated at home. As sore throats are often caused by infections it is likely that you will develop a high temperature. This can be treated using paracetamol or similar preparation which has the added benefit of helping to decrease discomfort at the same time. Even viral infections can be tiring so it is important to rest. If you continue to go to work, take regular rest periods if you are able or go to bed earlier whilst you get over the infection; remember your housework can wait for a few days whilst you are unwell. Salt water gargles can help to ease the pain and flush the infection away, along with helping to reduce swelling; remember though not to swallow a salt water solution as this is bad for health. Keep hydrated by drinking often; warm drinks can be soothing but avoid very hot drinks as this can increase pain. If swallowing is difficult try thicker fluids such as soups which are easier to swallow. If you have a cold, are dehydrated or congested, resting in a warm moist atmosphere can be helpful. Use a facial sauna or humidifying unit to increase the moisture levels in the air of your home. Many over the counter preparations contain specific medicines and though these can be very helpful at relieving pain and discomfort, it is essential that you read the ingredients thoroughly so as to avoid accidental overdose of ingredients such as paracetamol that can damage the liver even in very small amounts over the recommended dose. Throat lozenges can be bought that contain trace amounts of anaesthetic agents that slightly numb the throat and can ease discomfort and help you swallow more easily. If you use lozenges, try and find varieties that are sugar free as you may be jeopardising the health of your teeth. If your sore throat does not subside after a week or two even when using home or chemist remedies you may need to see your doctor; you could have a bacterial infection as opposed to a viral infection and may need antibiotics. If you cannot swallow at all or are finding it almost impossible see your GP to prevent dehydration. If at any time you are struggling to breathe seek medical advice urgently to prevent any serious complications. Most of the time a sore throat will resolve by itself and will need the minimal of intervention, however a bacterial infection can be more difficult to eradicate than a viral one and may need anti-biotic therapy to help prevent the infection from increasing and risking other parts of the body. I have a sore throat and also struggling to swallow even my saliva and my body feel tired all the time, all the time the side of my neck are tight and it feels like someone is struggling me,its painful I can't breathe and chest are tight. I'm afraid you would have to see a doctor if you wanted a correct diagnosis for your illness.